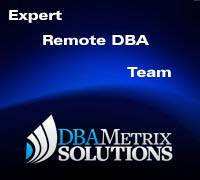 Information Technology is a vast subject and DBA support means different things for different people. 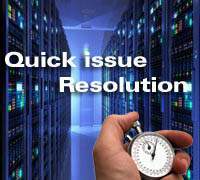 Right from telephone support to upgrading and fine tuning your IT system, everything is part of the IT support. Similarly, proactive support that you receive from your IT supplier can vary from quality service to technical support. Generally, Proactive support in IT field means providing businesses with tooling, monitoring, alerting as well as detailed reports. There is no point in getting so much of information technology details if there is no one in your business to monitor and to proactively act upon the information passed. Hence, it is ideal for you to have a technically skilled IT technician in order to carry out successful proactive IT support business. One of the prime objectives for small business looking to go for proactive support for their firm is to get all the IT faults in his business to be identified in the budding stage itself and to make necessary corrections before it blows out of proposition. 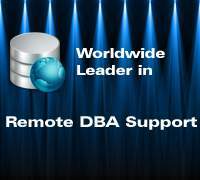 Hence, it is very important for you to go for proactive DBA support providers who offer you full and secure IT system implementation for your business. It is very important for the IT support provider to be both proactive as well as reactive for the business that they are divulged in. It is also ideal for the outsourced service provider to offer you with proactive upgrades as well as technical help in order to have an up-to-date IT system in place in your business that is well tuned for the future. If in any case the proactive support steps backfires, there must always be the reactive step to stem this problem as soon as possible. 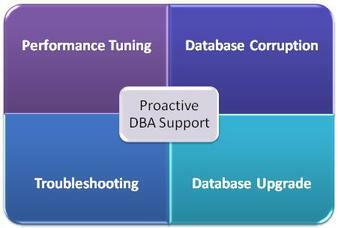 "Proactive DBA is very useful for Performance Tuning, Database Corruption, Mysterious Error Troubleshooting and managing strong security of databases.Exclusive expertise needs to provide proactive dba services and it is most important part of database administrator"
There are a lot of benefits that you will be getting as a client if you outsource proactive IT support service provider. The first and the foremost benefit that you will be getting is increase in your business productivity as most of the troubles that your IT system will be facing will be detected in the initial stages itself and this will help in preventing major critical issues later. 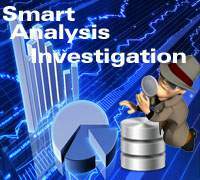 Most of the small problems that occur in your IT system will be easily monitored and detected by remote proactive DBA support service providers and hence you will be constantly updated about the status of the network and the services. Hence, choose proactive support providers who offer you improved reliability and keep you in the thick of things always. It is important for you to choose the proactive support processional for your IT system who could offer you proactive monitoring services at the cost of hourly reactive support that will help you to save quite a few dollars. Locating the right IT support service provider depending on your needs and requirement is not such a difficult task these days. But, it is important for you to make a thorough research on the service provider and check out his pro's and con's before hiring him to provide you with proactive IT services. Along with a good proactive support, it is vital for the support provider to offer reliable reactive services as well. 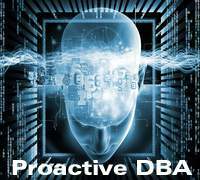 Proactive database administration task is exclusive weapon for getting rid of mysterious errors and performance degradation issues of databases. 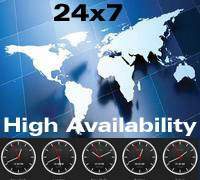 It guarantees all database operations smoothly without any trouble as trouble-free.